Essays by Riva Castleman, Foreword by Richard E. Oldenburg. 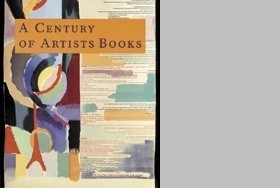 This splendid celebration of the illustrated book as an art form begins with remarkable works produced in France by Henri de Toulouse-Lautrec and Paul Gauguin at the end of the 19th century, and traces the international development of the modern illustrated book to the last decade of the 20th century. Major artists of the modern movement, among them Marc Chagall, Henri Matisse, and Pablo Picasso, turned to the "illumination" of poems, classical literature, and their own writings to make books that are now collectors' objects, luxuriously produced. Such limited editions have continued to be produced alongside other types of artists' books aimed at a much larger audience. The more available artists' books have served a different purpose, often expressing aesthetic and political principles, in the hands of such artists as Kasimir Malevich, Marcel Duchamp, Ed Ruscha, Joseph Beuys, and Barbara Kruger. 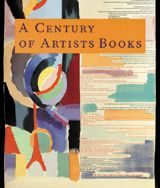 Accompanying texts consider the historical background, complex relationships between artists and book manufacturers, technical constraints, and recent changes.